A drive through the countryside, over barren hill tops and streets lined with blossoming pink oleander leads us to a tiny village in the north of Malta, Wardija. We stopped in front of a big, green iron gate in the shade of majestic pine trees, their woody smell caught my senses as soon as I left the car! It was around noon, the sun was at its peak and the air was shimmering. 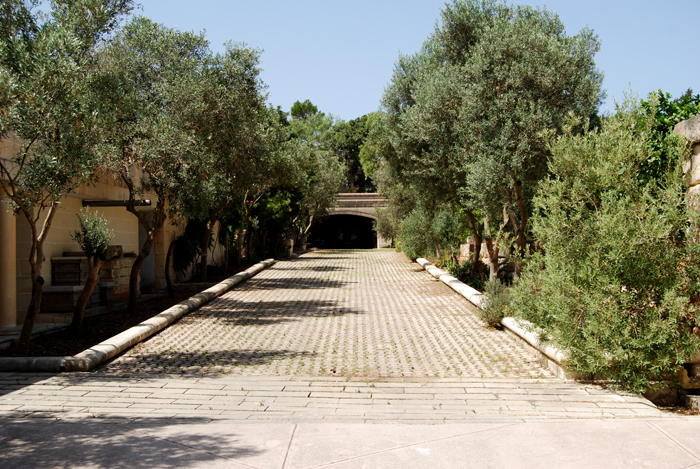 The scene was peaceful and silent when Sam Cremona opened the gate and welcomed us with a big smile on his face. He is a man in his sixties, his skin darkened by the Mediterranean sun, and I had been looking forward to this meeting for months! 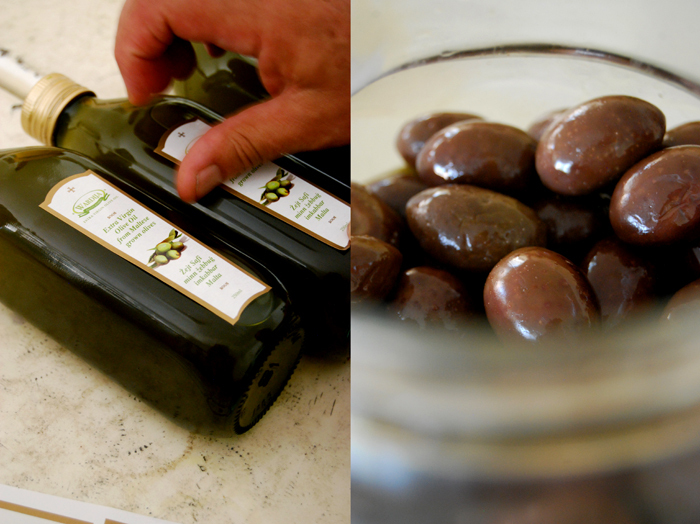 Sam produces his own olive oil of extraordinary quality and managed to revive an ancient kind of Maltese olive, the Bidni olive. This species has been cultivated on the island for at least 2000 years but it was on the brink of extinction, just 25 trees were left when Sam started his research. He was looking for olive trees to plant on the 1 hectare of land that surrounds his beautiful country house and the story and quality of this olive caught his attention. It’s rich in antioxidants, the concentration is so high that the eggs of the olive fruit fly, one of the biggest pests for olive trees, never hatch in the fruits. The antioxidants also cause the oil’s tasty bitterness and its positive effect on the immune system. When Sam decided to work with the Bidni olive in 2002 he started a program called PRIMO, Project for the Revival of the Indigenous Maltese Olive. He uses cuttings from the few old trees left on the island and grafts them onto other trees. 40 producers joined him, hundreds of trees have been successfully planted and a wonderful olive oil has come back to life. Sam had to set up his own small olive press as there was none on the island at that time. 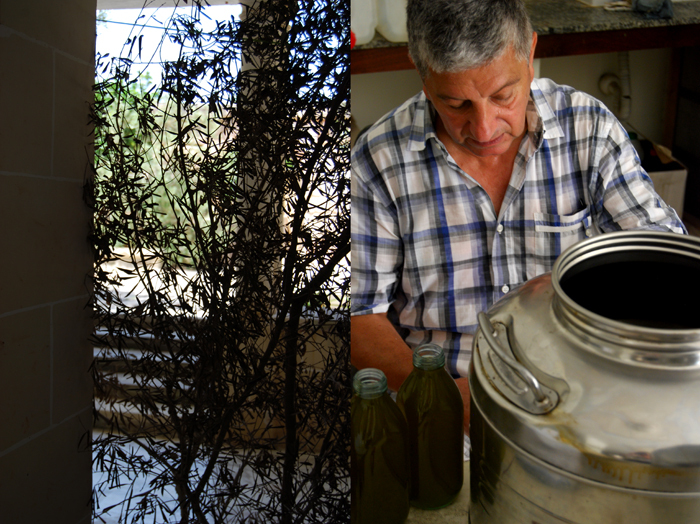 This allows him to pick the fruits and press them on the same day, another reason for the oil’s high quality. Sam invited me to his kitchen to taste two of his olive oils, one made of the Bidni olive and another that’s a little less bitter in taste. Both were wonderful, fragrant and rich. 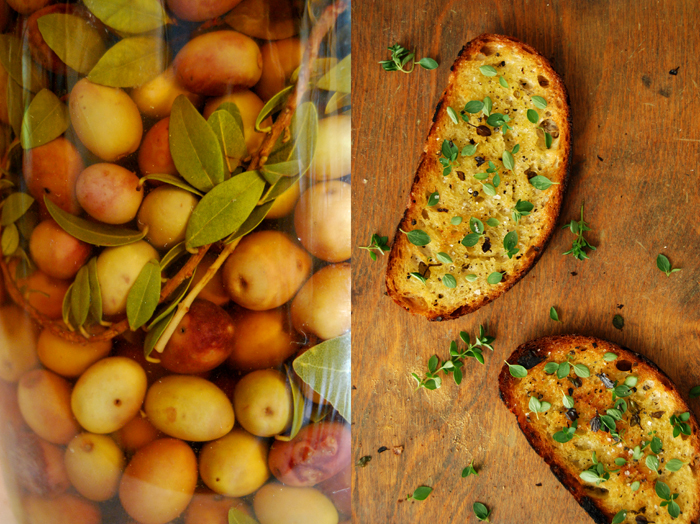 I could smell citrus fruits, pine trees, tomatoes and thyme, all embodied in these delicious Wardija Olive Oils! I was so impressed that I bought some of his oil straight away, if you would like to do the same or if you would like some more information about Sam’s oil and project, you can contact him at matty@vol.net.mt. 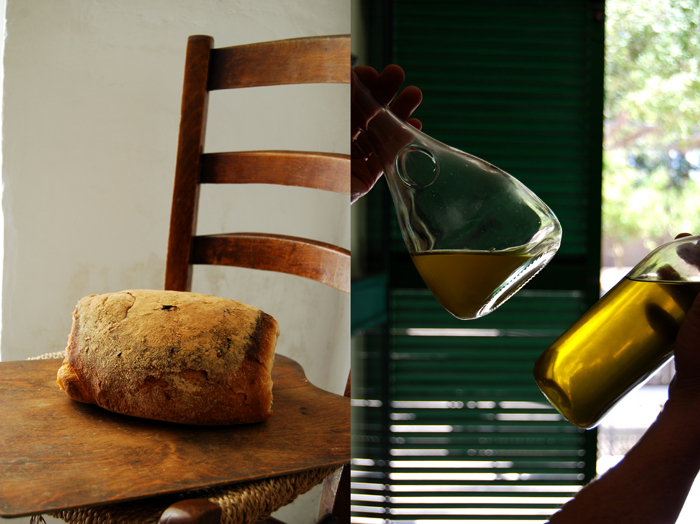 After tasting the oil we enjoyed some with a few slices of Maltese bread, one of the best ways to savor a good olive oil, but I already knew what I would use it for as soon as I got back home. I discovered a very simple, delicious little snack when I was in Sicily. 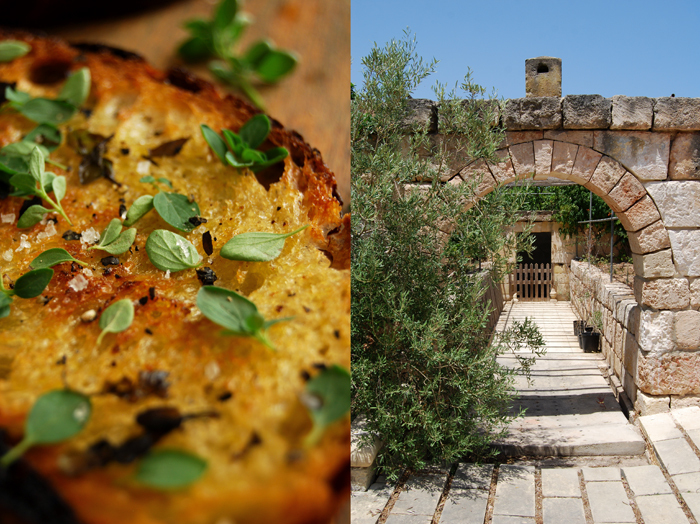 Pan roasted bread, dipped in olive oil and cooked with fresh oregano leaves. When the bread is golden brown and crunchy on the outside, you take it out of the pan and sprinkle a little more oregano, black pepper and coarse sea salt on top. 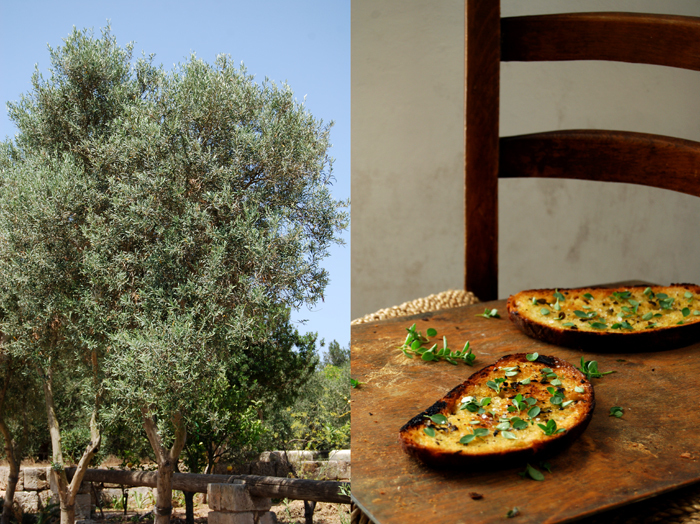 As always, when a recipe is so simple, choose the best quality bread, olive oil and sea salt you can get and pick fresh oregano leaves if possible. It’s divine! For 4 people, you need a small loaf of sourdough bread, thickly sliced, olive oil and coarse sea salt to taste, crushed black peppercorns and a handful of fresh oregano. 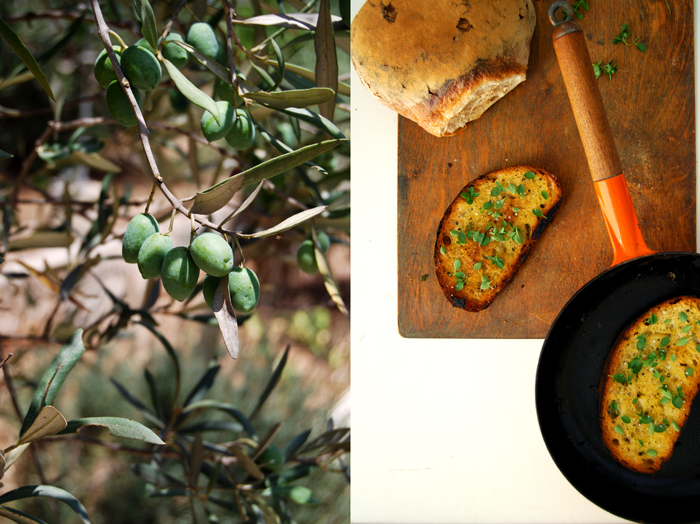 Brush the slices of bread with olive oil on both sides and sprinkle with the herb, leave a few leaves to put on the bread when it’s done. Heat a heavy pan and cook the bread for a few minutes until golden brown on each side, sprinkle it with some salt, pepper and fresh oregano. 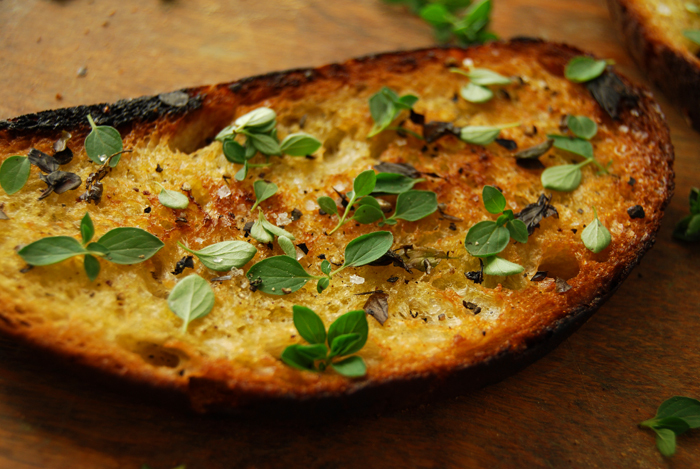 i have never tried throwing a bit of fresh oregano onto my bread. i will be correcting that this weekend, meike. I so want a couple pieces of that bread!